Banned Books Week, hosted by the American Library Association’s Office of Intellectual Freedom, raises awareness of an issue that is near and dear to the hearts of librarians everywhere: the freedom to read. What many librarians may not realize (and therefore not promote) is that the Wednesday of Banned Books Week is specially honored as Banned Websites Awareness Day. When I think of banned books, I see in my mind’s eye a Fahrenheit 451-style conflagration fueled by books, their pages curling and turning to ash. Less dramatic but no less concerning, I also imagine a more realistic image: books stripped of their barcodes, property stamps blackened out, and quietly disposed of or carefully squirreled away in case the ban is lifted. It is easy for librarians and other defenders of intellectual freedom to rally against censorship of print books for precisely these associations, whether literary, historical, or personal. We have a physical item to protect, and a physical loss if the challengers succeed. It can be more difficult, however, to rally people against the banning of a website. Website access may not be under the librarian’s control. Indeed, the librarian may not even be aware of this challenge to his or her patrons’ intellectual freedom, depending on department structure and library policy. The first and perhaps only indicator may be an on-screen filtering message. For many patrons, this blockage might not even trigger a reaction. The patron could mistake the filtering message for the site being down, click to another website, or simply decide to access the website in question at home. Even the terminology makes it more difficult to garner support. The word “filtering” has a positive connotation of purification whereas the terms “ban” or “censor,” as commonly used in association with books, have negative associations that people tend to avoid. It is important to note, however, that loss of access to a website in a library is as serious of an encroachment on intellectual freedom as the removal of a book. In an increasingly digital world, it is no surprise that the lines between print and online media are likewise becoming blurrier. Nearly every type of print media has a digital counterpart. As a result, the library profession’s attention and efforts to preserve resource access must move beyond protecting print materials to include digital and online materials access as well. 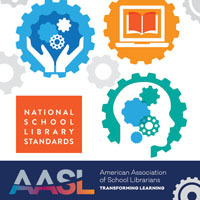 The AASL’s Standards for the 21st-Century Learner is a guiding document for many, many school librarians. We point to this document when we are asked what exactly it is that we teach our students, when we are evaluated by our administrators, and if ever (hopefully never!) we are asked to justify our positions. While it would be impossible to enumerate all of the applications that the standards have for protecting information access, I will highlight a few especially pertinent sections (bold text below). Common Belief: Equitable access is a key component for education. Libraries remediate disparities of information access. If a book is banned, a student might have the resources to purchase the book themselves or to travel to another library to borrow another copy. If a website is blocked, a student may have home internet that he or she can use to access the site. If he or she is not so lucky as to have alternate resources to utilize outside of school, his or her education may be detrimentally affected by inequality of information access. Standard 1.1.4 Find, evaluate, and select appropriate sources to answer questions. Students are given the opportunity to hone the skills noted in Standard 1.1.4 when searching for information to meet their needs. 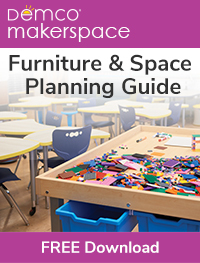 The broader the materials that they have access to, both in print and online, the sharper these skills become. Standard 2.3.2 Consider diverse and global perspectives in drawing conclusions. Nine of the top ten books challenged in 2015 had diverse content. Not surprisingly, the 2016 theme for Banned Books Week honors diversity. In order for students to contemplate multiple perspectives, all available perspectives should be accessible to them both on shelves and online. Standard 2.4.1 Determine how to act on information (accept, reject, modify). By allowing students to access to controversial books and websites, we provide them with essential opportunities to practice this important information literacy skill. Standard 3.1.2 Participate and collaborate as members of a social and intellectual network of learners. There are many online capabilities that print materials simply cannot replicate—notably, the networking and social interaction made possible via social media. The importance of access to social media websites surpasses the importance of access to books when we consider freedom of information with respect to this standard. If students cannot access social and communication media for educational and/or personal purposes, the richness of their personal learning network and world perspectives is limited to those people with which the students in question have physical contact. Standard 3.3.2 Respect the differing interests and experiences of others, and seek a variety of viewpoints. When diverse content and balanced collections remain accessible to our students, we model respect for all represented viewpoints. Standard 3.3.7 Respect the principles of intellectual freedom. Librarians cannot champion the cause of intellectual freedom alone. We need to help our students understand the value of intellectual freedom. In doing so, we plant seeds of tolerance that will allow for more and more voices to be heard online and in print. Standard 4.1.2 Read widely and fluently to make connections with self, the world, and previous reading. The stories and information shared by others can act as a mirror for self-discovery or a window to global awareness. Keeping controversial texts and online resources accessible to our students allows them the maximum opportunity for self- and world discovery and understanding. This is especially important when considering controversial topics, as students often want to explore these topics in whichever format offers the most privacy for their personal situation. and Standard 4.3.1 Participate in the social exchange of ideas, both electronically and in person. At the time of writing, Harvard University’s Berkman Center for Internet and Society notes via Herdict that 33% of their “site inaccessible” reports in the United States are in the social media category. This is the highest percentage of all reported categories. Yet access to social networking sites directly supports both of these standards. By keeping school internet filters open to social media, students’ social networks are allowed to expand to global proportions. As you are using the amazing Banned Books Week 2016 site to plan events for your library, consider expanding the focus of your intellectual freedom celebration beyond diversity of content to also honor equally essential diversity of information access. 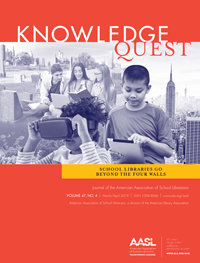 For ideas and information on raising awareness and taking action in support of online resource access, please visit knowledgequest.aasl.org/bwad15 and www.ala.org/aasl/advocacy/bwad. This is such an excellent point. I hadn’t really considered blocked websites as censorship issues, but “duh” of course it’s censorship. I’m just so used to certain sites being banned, and most students knowing how to circumvent the block. I do have the option of requesting a website unblocked, but I’ve never known anyone to do that. Thanks for this perspective!